For more detail, visit www.ctsicn.org/events/ai-wksp or contact ssalazar@gwu.edu. 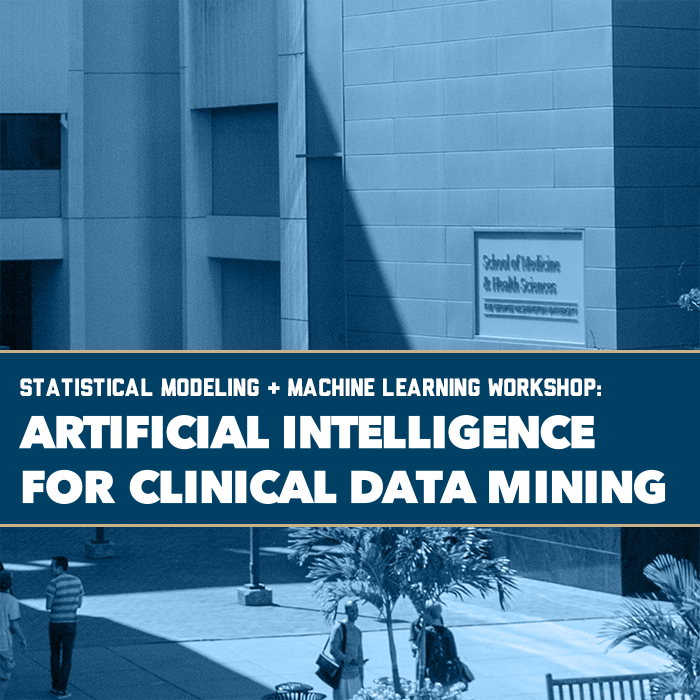 This free, one-day workshop will introduce three methods of AI data analysis in a beginner- friendly environment through a mix of theory and hands-on practice. Clinicians, researchers and graduate students are welcome. A basic understanding of statistics and/or programming (any language) will be helpful, but is not required. Attendees should bring a laptop.